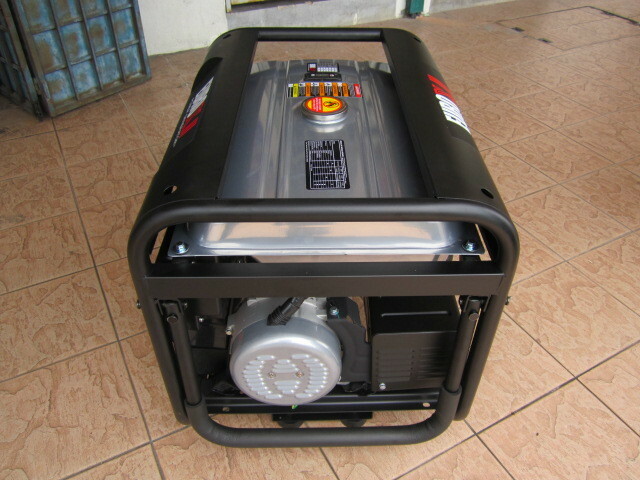 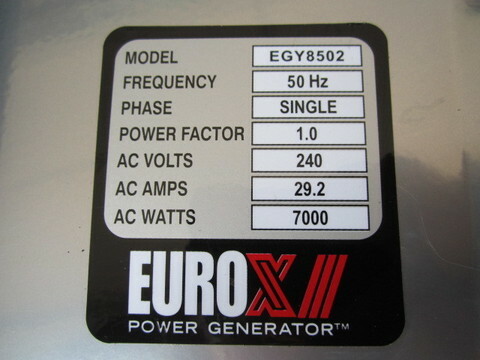 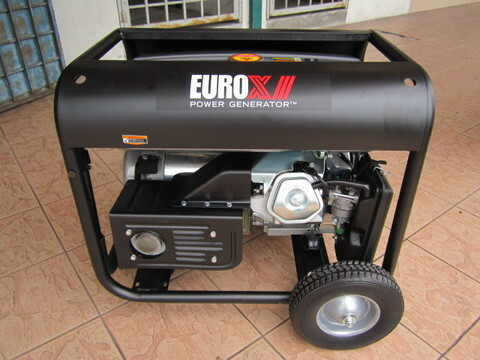 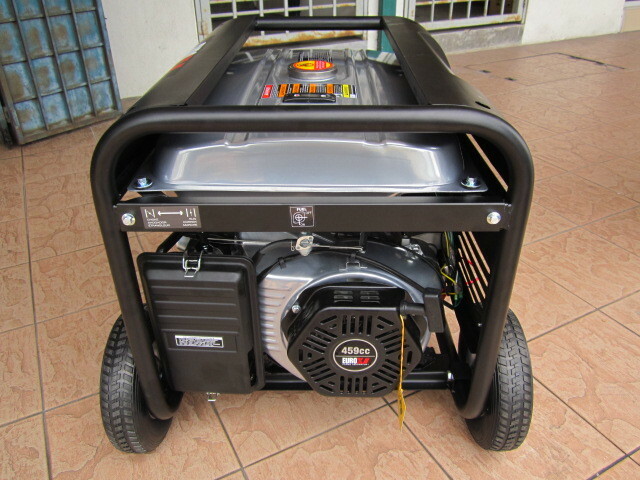 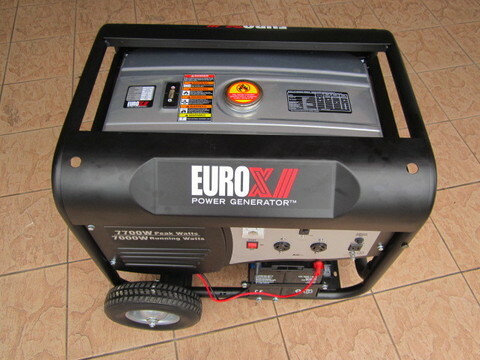 Euro X 7.0kW Premium Gasoline Generator with Electric Start..
Euro X reliable 7000-watt generator with electric start, battery and wheel kit includes AVR to keep your appliances and equipment safe. 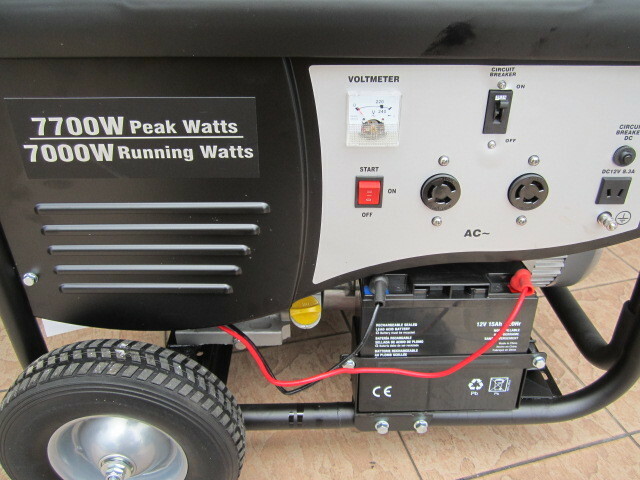 The 459cc 4-stroke engine provides up to 8 hours of run time, features electric start and has all the power you need for home backup or your next project. 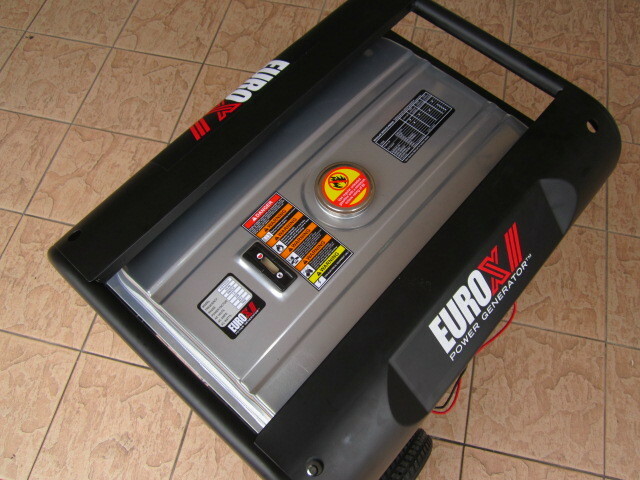 At 7700 watts max power and 7000 watts rated output, this unit can handle it all in an outage – lights, refrigerator, modem/router, security system, window AC, furnace blower, TV, computer, phone charger and more. 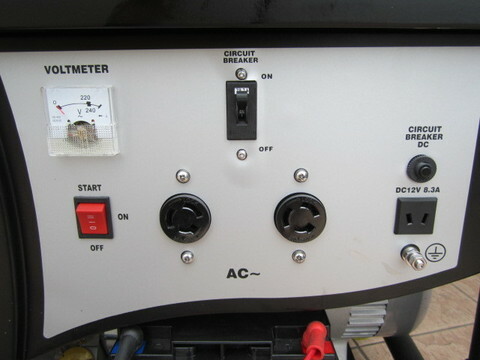 Not only that, but the built-in AVR protector prevents overloads and keeps your equipment safe from spikes in voltage. 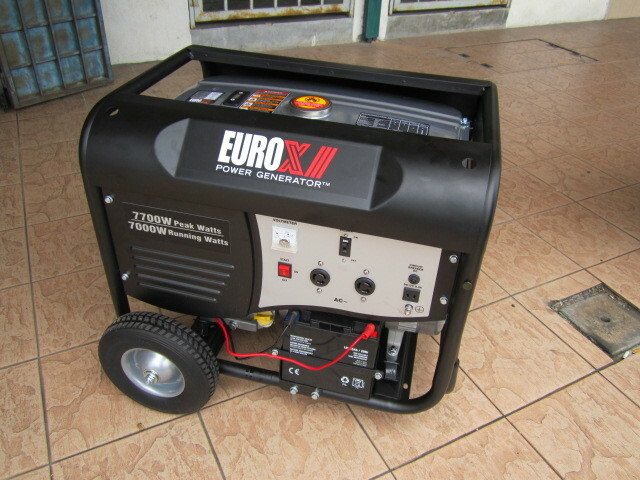 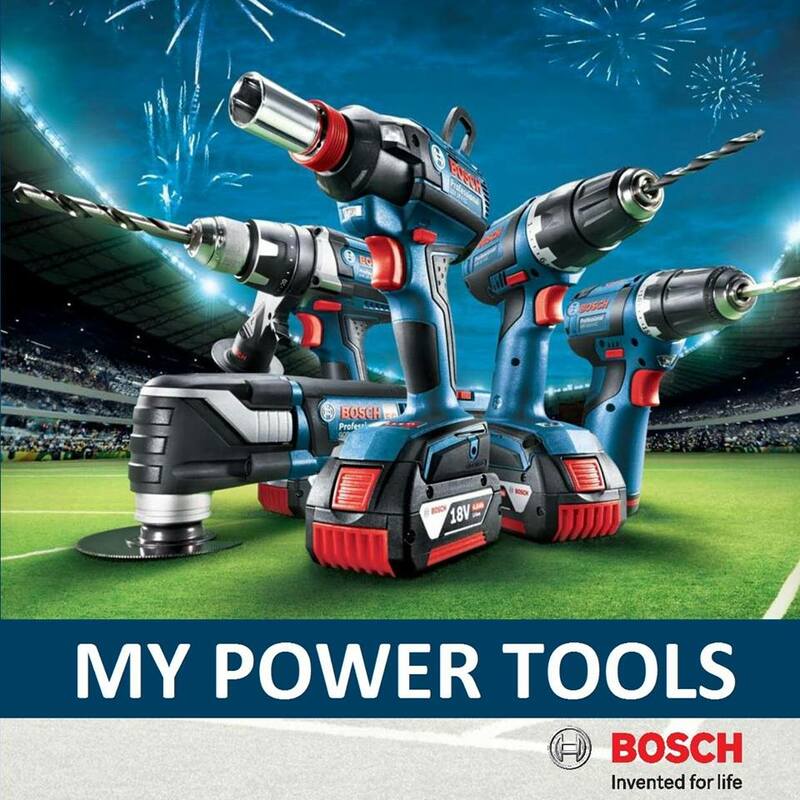 PRICE RM3,299.00..(Euro Power the professional of quality)..